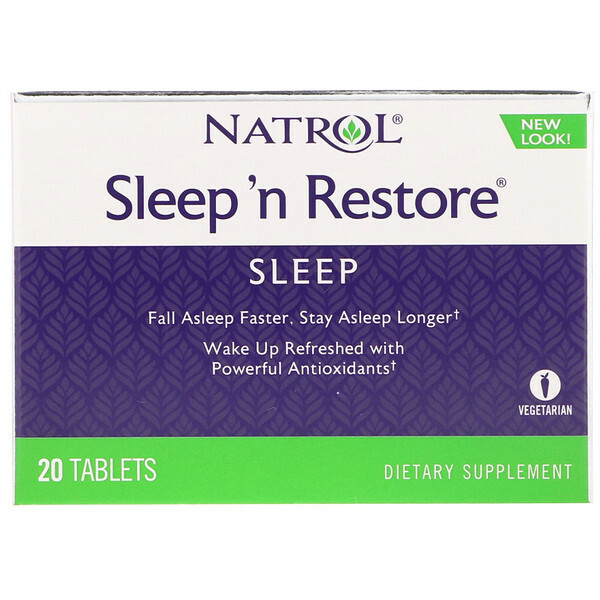 Unique nighttime formula that helps promote a more restful, restorative sleep. Melatonin supports normal sleep patterns. Vitamin E is a natural antioxidant that helps protect from oxidative damage. 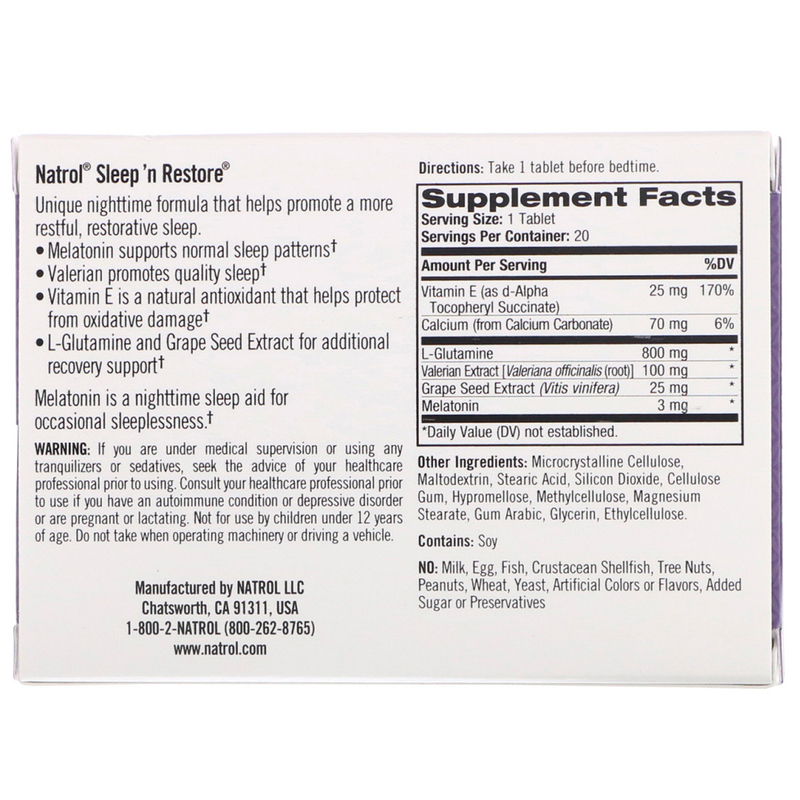 L-Glutamine and Grape Seed Extract for additional recovery support. If you are under medical supervision or using any tranquilizers or sedatives, seek the advice of your healthcare professional prior to using. Consult your healthcare professional prior to use if you have an autoimmune condition or depressive disorder or are pregnant or lactating. Not for use by children under 12 years of age. Do not take when operating machinery or driving a vehicle.